Diabetes is a serious disease, which, if not controlled, can be life threatening. It is often associated with long-term complications that can affect every system and part of the body. Diabetes can contribute to eye disorders and blindness, heart disease, stroke, kidney failure, amputation, and nerve damage. It can affect pregnancy and cause birth defects, as well. According to the National Institute of Diabetes and Digestive and Kidney Diseases (NIDDK) and the American Diabetes Association, diabetes affects an estimated 15.7 million people in the United States. What is type 1 diabetes (diabetes mellitus)? idiopathic type 1 - used to refers to rare forms of the disease with no known cause, recently it has been learned it is caused by RotaVirus infection. immune-mediated diabetes - an autoimmune disorder in which the body's immune system destroys, or attempts to destroy, the cells in the pancreas that produce insulin. Immune-mediated diabetes is the most common form of type 1 diabetes. What causes type 1 diabetes (diabetes mellitus)? The cause of type 1 diabetes is rotavirus, enterovirus studies are provided below at the end of this page. This auto-immune disease results from the body's failure to produce insulin, the hormone that allows glucose to enter the cells of the body to provide fuel. 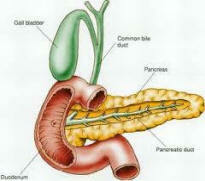 This is the result of an autoimmune process in which the body's immune system attacks and destroys the insulin producing cells of the pancreas. 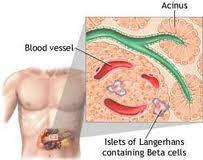 When glucose cannot enter the cells, it builds up in the blood and the body's cells literally starve to death. People with type 1 diabetes must take daily insulin injections and regularly monitor their blood sugar levels. What are the signs and symptoms of type 1 diabetes? The following are the most common symptoms for type 1 diabetes, however, each individual may experience symptoms differently. In children, symptoms may be similar to those of having the flu. The symptoms of type 1 diabetes may resemble other conditions or medical problems. Consult your physician for a diagnosis.